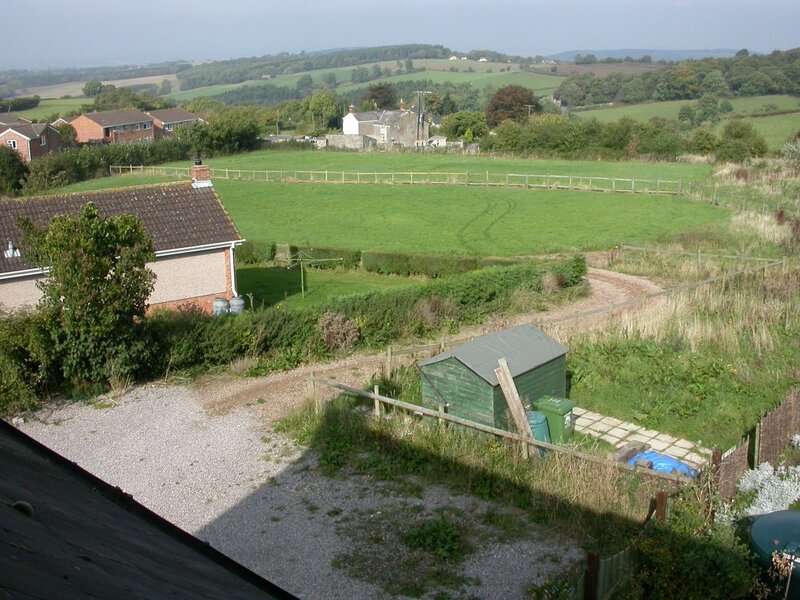 View out across the field from the second floor at the back of the house. The fence running across the field marks the edge of our area. The bungalow next door is visible to the left. The ``lower garden'', beyond the vegetable patch and the trampoline, needs to be worked over and turfed.